Music awards shows may come and go, but the original Grammys remain The Oscars of the music industry representing the entire music spectrum from classical, country and gospel to rock, rap and reggae. This year, 2019 Grammy nominees were announced on Friday, December 7, 2018 live on “CBS This Morning” at 8:30 a.m. ET. hosts the 2019 Grammy Awards. 2019 Grammy winners were announced live at the 61st annual Grammy Awards when it was televised on CBS on Sunday, February 10, 2019 at 8PM ET from the Staples Center in Los Angeles. Hosting the show for the first time ever was Grammy winner Alicia Keys. Leading the pack in the Grammy race this year are Kenrick Lamar with eight nominations, followed by Drake with seven Grammy nods. Female artists are also beginning to take the lead in 2019 -- including rapper Cardi B, singer Brandi Carlisle, country star Kacey Musgraves, R&B artists H.E.R. and Janelle Monáe -- all competing with male heavyweights for Album of the Year. On awards night, audience were treated to appearances by Black Sabbath, George Clinton & Parliament-Funkadelic, Donny Hathaway, Julio Iglesias, Sam & Dave, and Dionne Warwick - recipient of this year's Lifetime Achievement Award. The performance lineup for the 2019 Grammy Awards included show opener Camila Cabello with J Balvin, Arturo Sandoval, Ricky Martin, and Young Thug. Also watch for performandes by Cardi B, Dan + Shay, Shawn Mendes, Janelle Monáe, Miley Cyrus, H.E.R., and a special performance by Post Malone appearing with the Red Hot Chili Peppers. The performance lineup also included Grammy MusiCares Person Of The Year Dolly Parton performing with Maren Morris, Little Big Town, Kacey Musgraves, and Katy Perry. Also included was a special 75th birthday celebration -- for singing legend Diana Ross -- with a live performance by The Lady herself! Presenting at the this year's Grammys were Korean pop band BTS, Kelsea Ballerini, Leon Bridges, Luke Combs, Charlie Wilson, Alessia Cara, Eve, John Mayer, Bob Newhart, Smokey Robinson, Swizz Beats, Meghan Trainor, Kane Brown, Cedric The Entertainer, Nina Dobrev, Julian Edelman, Anna Kendrick, Jada Pinket Smith, and Wilmer Valderrama. • The Grammy Awards presentation is the second-most-watched awards show after the Oscars. • Stevie Wonder holds the record for most Grammys won by a solo artist, with 28 Grammys and a Lifetime Achievement award. 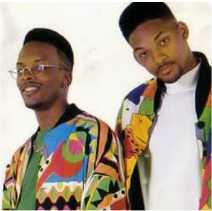 • In 1989, the Fresh Prince (Will Smith) and DJ Jazzy Jeff won the first Grammy for a Rap performance. • The first artists to be stripped of their Grammys were Milli Vanilli in 1989, when it was discovered that their album was not originally sung by them. The duo, which won for Best New Artist that year, lip-synced a live performance during the program. • Rapper Snoop Dogg has been nominated 12 times for a Grammy but has never won. GRAMMY.com - The official site with all the lastest news, complete list of nominees and winners, a comprehensive database searchable by year or category, related feature stories, Grammy trivia, an award process FAQ, photo gallery. GRAMMY AWARDS - CBS - The official broadcaster with a complete schedule, nominee list, feature stories, video interviews, and behind the scenes photos. Grammy Award - Wikipedia - The online encyclopedia with a massive hyperlinked account of the awards with winner lists dating back to 1959.